Our cosmetic dentists in South Bend are experts in brightening beautiful smiles using the latest methods in teeth whitening. Because we take pride in our patient care and want you to be completely satisfied with your results, we perform a thorough dental exam to determine the cause of your discoloration before whitening. This is important because peroxide-based teeth whiteners do not work on tetracycline stains, crowns or veneers, and diet and certain medications can affect the expected results. In addition, some teeth may be discolored due to defective fillings or decay, requiring repair before cosmetic whitening treatment. Our dentists in South Bend will work with you to determine the best whitening option for your teeth. Is your smile as white as it should be? Many people dream of having a whiter smile, and it’s not an impossible goal. 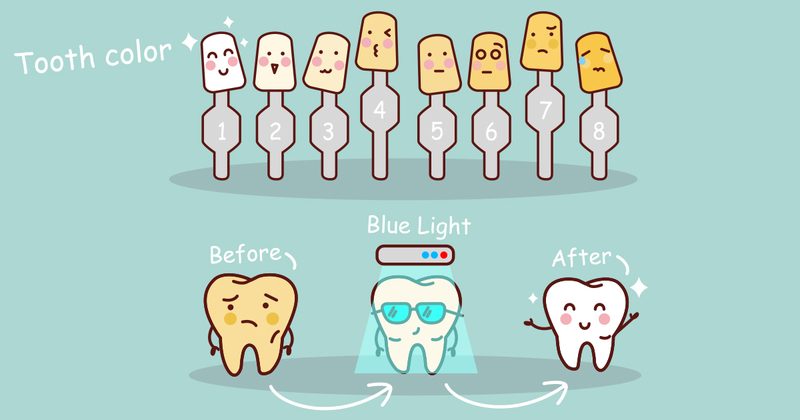 You and your dentist can work together on making your smile healthy and bright. Here are five great tips to help you get started. Julie is awesome. An Sue is wonderful. Why didn’t I start going here a king time ago?? They’re friendly, professional & quick! Affordable too! Dr. Gasko is the best!!!!! Knowledge of the employees and their kindness and consideration. My experience at the Granger Dental Center was amazing! Megan Yeager was my hygeinist and she was very knowledgeable, polite, professional, and helpful with how I can improve my dental health. Satisfaction in service, quality care, friendly atmosphere and familiar faces. My dental hygienist is kind and thorough & does her job well.